First race weekend of 2013! Unfortunately, while perfectly placed for a (winning?) sprint finish in the final lap of the criterium, I had a collision that sent my bike near-horizontal with rear wheel lift-off, and while I saved myself from eating pavement, I couldn't make up the momentum I'd lost as the field when by in a flash. I finished, still mid-field, in 26th. And, in making that near-crash save (if I had crashed at that speed it would have been far far worse! ), I jacked up my previously injured ankle, which took me out of the road race on Sunday. 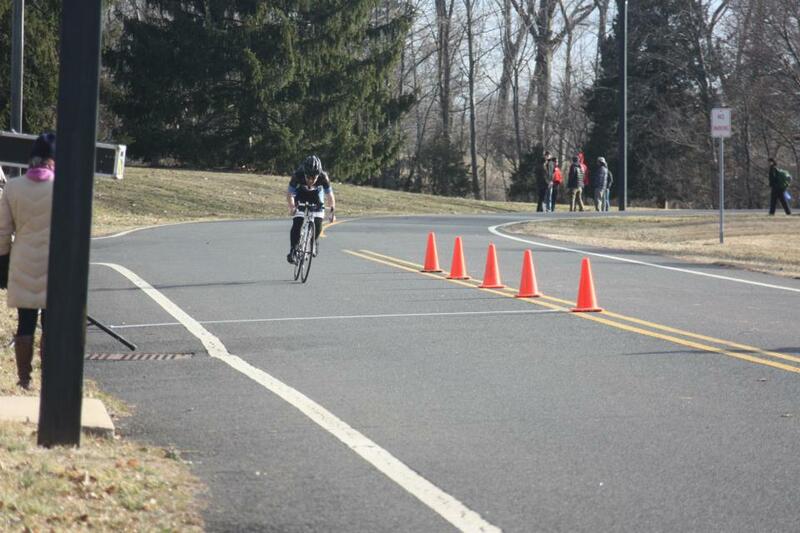 Here are some photos of the prologue, a short ITT. Note that it was about 28 degrees F outside. I'm not sure if that pain face at the end was due to effort or freezing cold hands!